Prayer observed in mosque is far more valuable than a regularly observed prayer. It alienates the person from the worldly surroundings and takes him to mosque’s spiritual environment. This environment teaches a person in various aspects. A person departs from his house, office or business and heads towards the mosque. Leaving one’s place and heading towards a mosque is a great God loving act in itself in which on every step a person comes to realize that in actuality he is a man of God and has to appear before him one day. One has to wait in the mosque before the congregational prayer which happens to be a time of immense silence and solitude. 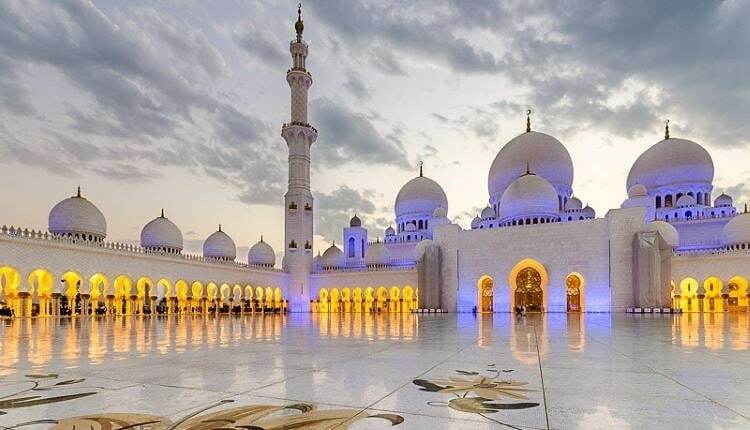 Usually a person does not get enough free time to contemplate; however, in a mosque a person gets the great opportunity of contemplation along the prayer. During this time he remembers his lord and ponders over the signs of Allah across the universe. He realizes that apparently as people are sitting quiet momentarily but in reality they are busy in remembering their Lord; Similarly all the living beings spread across the universe are silently praising and thanking their Lord in their own unique way. He realizes the Greatness of the Lord who is the Creator of all creations. In a mosque the prayers are observed in congregation in which all the people follow a leader. One gets a lesson from this that despite all the differences people may have with each other, they have to live together in harmony. This is only possible if they surrender themselves to discipline. Upon returning from the mosque a person take the perception that from head till toe he subdued his whole body before his Lord and took oath of his reverence. That’s why upon exiting from the mosque he cannot break his oath. This way a congregational prayer makes a person obedient towards his Lord even outside the mosque too.